The corporate real estate services team was appointed by an international firm of engineers to advise in relation to the bringing together of two established offices in Sale and Cheadle, which housed two different parts of the company’s businesses. The company had occupied the two offices in question since the 1960s and 1990s. Vail Williams was appointed to identify existing properties and design and build opportunities in Manchester, which would provide the client with 75,000 - 100,000 sq ft of office accommodation. The aim was to house both arms of the firm’s business by the time both existing leases expired. Working together with the commercial property acquisition and disposals team, an extensive search was carried out to source potential buildings or commercial property development opportunities for the client. This involved a number of building tours, site meetings and conversations with the client’s senior management team, both in the UK and the USA. It later transpired that the two arms of the business had differing property requirements to the extent that it wouldn’t be possible to house them in the same building, so the team was tasked with sourcing two separate buildings. Following an extensive search, new premises in Central Manchester and refurbished accommodation near the airport to the south west of the city were identified. One was high end office accommodation suited to the requirements of one part of the client’s business, whilst the other was a refurbished, modern space that provided the client with the ability to expand and contract as required, for the other. The commercial property acquisition and disposals team negotiated and agreed favourable terms on behalf of the client, and undertook a number of detailed cash flow comparisons, whilst the building consultancy team was appointed to advise in relation to the dilapidations and fit out costs. A short term commercial lease renewal was also negotiated to enable to additional bringing in of the firm’s Manchester City Council Contract Team in from a further property in Central Manchester. 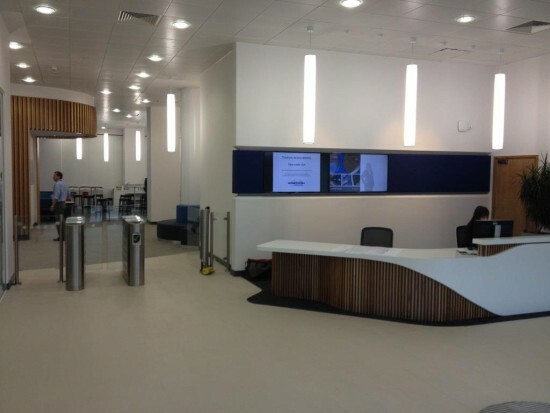 In order to effectively manage the move and fit out of the buildings, a project team, based across the UK and USA was created, adopting the latest in technology and space utilisation. As a result of the advice provided by the multi-disciplinary team at Vail Williams, our client able to successfully move over 1,500 people into the two new locations, where staff are delighted with the end result. By collaborating with the client and third party advisers, the team was able to exceed the client’s expectations both here and in the USA. A launch party took placed and Sir Howard Bernstein, leader of Manchester City Council joined senior management to formally open the central Manchester office. The corporate real estate services team continued to deal with the vacated premises and has been successful in settling dilapidations on all 3 properties, as well as handing over the premises back to the respective landlords.